I had several things planned for myself as I was counting down towards my natal day this year. That was Wednesday and I was only able to tick off one 'to do' from my very short list. I've been meaning to ask my girl friends what their favorite past time is, or rather, what they usually plan for themselves on their alone time, away from the stress of work and demands of family life. Everyone deserves a "me time", especially moms! I never got the chance to ask them. This is my realistic checklist of things I wanted to indulge in before my birthday month is over. X 1. 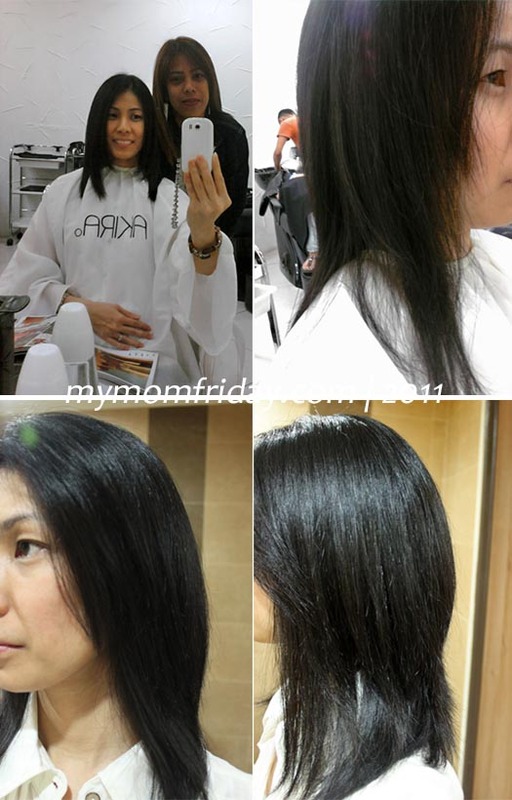 Hair Conditioning Treatment - availed of Akira Hair & Make-up Studio promo coupon from Awesome Deal @ P960! As you can see, most are for my "wellness and beautification project", heehee. I just thought I owe it to myself to get pampered with these treats for my birthday this year since I feeeel soooo oooold now! I'm not physically fit, I get aches and pains all over from time to time, I feel sluggish during the day, I look like a raccoon most days, and I am perpetually underweight. I need a change. I need a lift. I need some glow. Okay that last one is a stretch...hehehe. I have never tried #1 & #3, ever! And I can't recall when was the last time I enjoyed a #2 and a #4. It was that long. I'm excited already! As the saying goes, you have to love yourself first before you can give love to others. Mothers in particular, devote much of their time thinking about and doing things for their husbands, children, home, work, that many tend to forget how to take care of themselves and allow some "me time" to recharge. With the support from family members, we really have to find the time to just do it. Aside from these pampering treatments above, there are many simple yet equally therapeutic ways to relax and rejuvenate our mind, body, and spirit. If you're wondering about my hair treatment, I really wanted to wait a week of washing and drying my hair on my own before I can give you feedback. I can safely say that my hair is still soft and healthy-looking. It does not have that silky-shine quality to it but the Yuko Yamashita Hair Treatment worked well on improving the texture of my dry hair. I am maintaining it with the Yuko leave-on conditioning spray which I bought from the salon. Buying deals from Awesome.ph was such a breeze so I'll be looking out for future offers. So I'm giving myself 2 more weeks to be pampered and do the last three on my list. Tick-tock-tick-tock! Go take a break mommies, you deserve it! How would you spend your alone time?